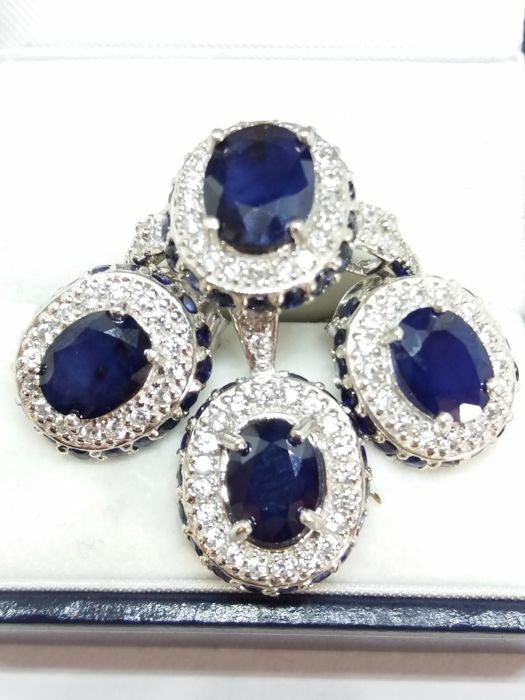 The natural sapphires in this set are very blue, not black but a lovely royal azure colour. 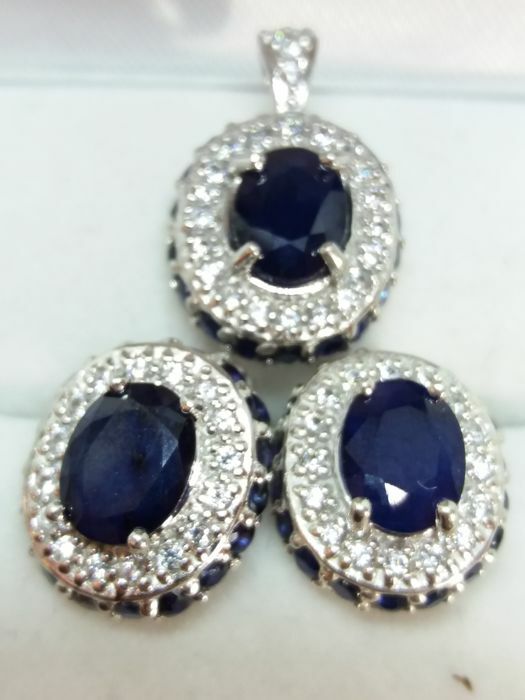 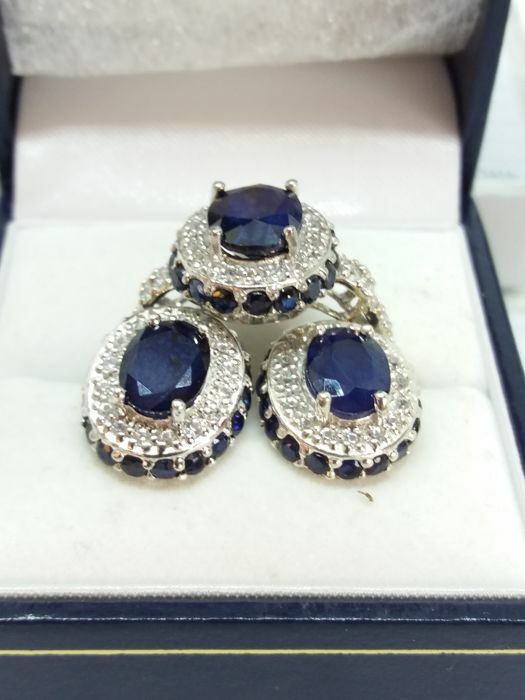 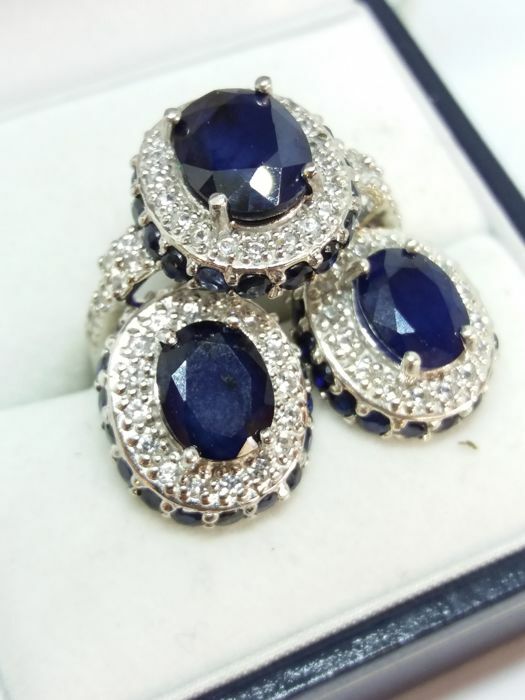 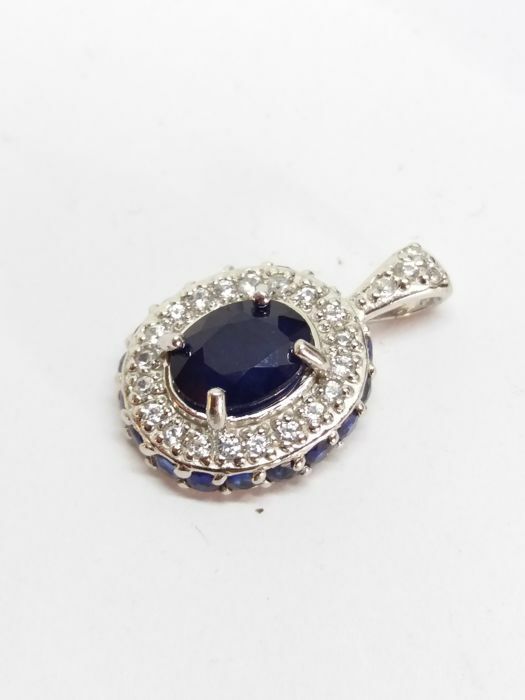 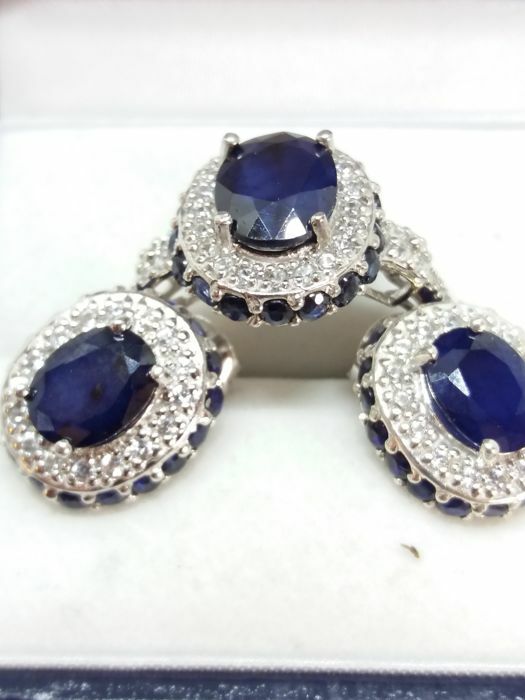 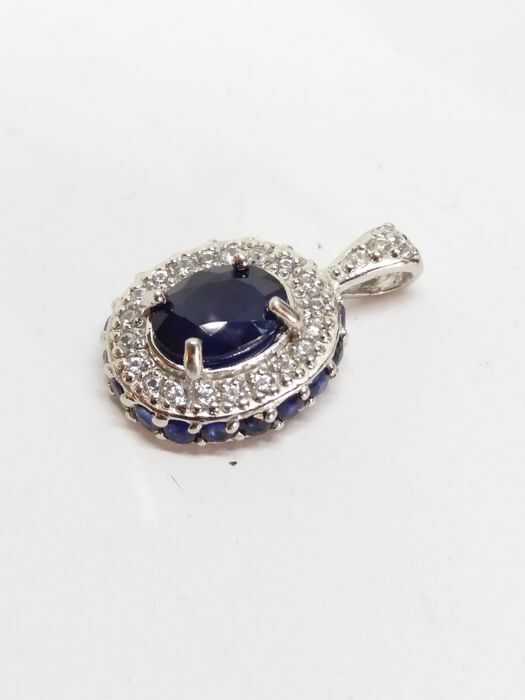 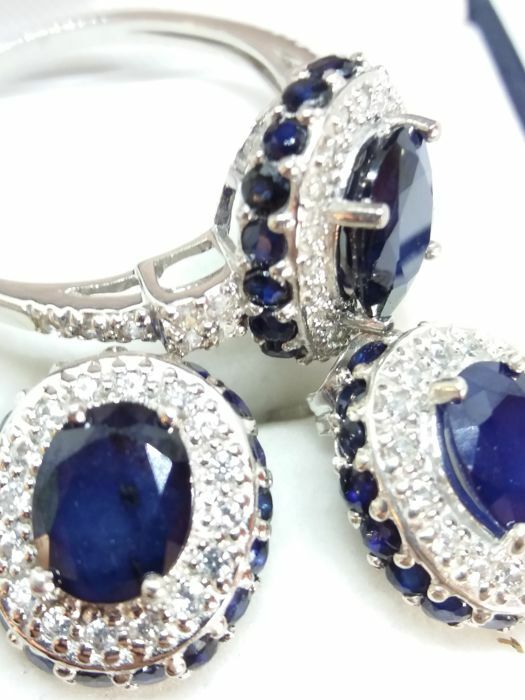 The design of the set have smaller sapphires around the outside of each piece. 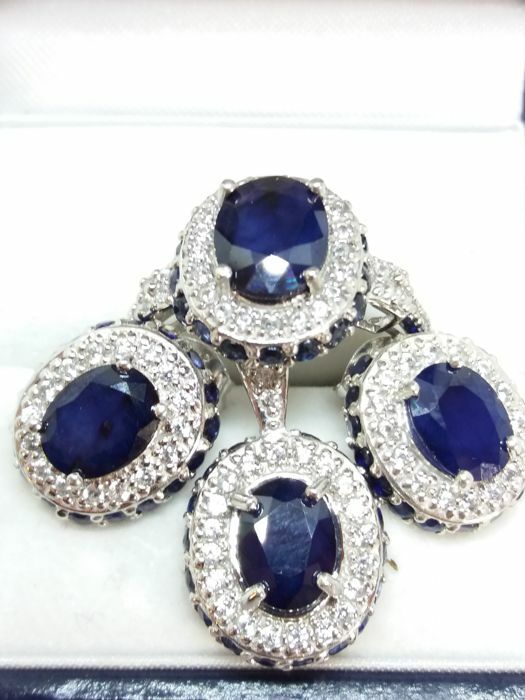 The gemstones are of large size and stand out. 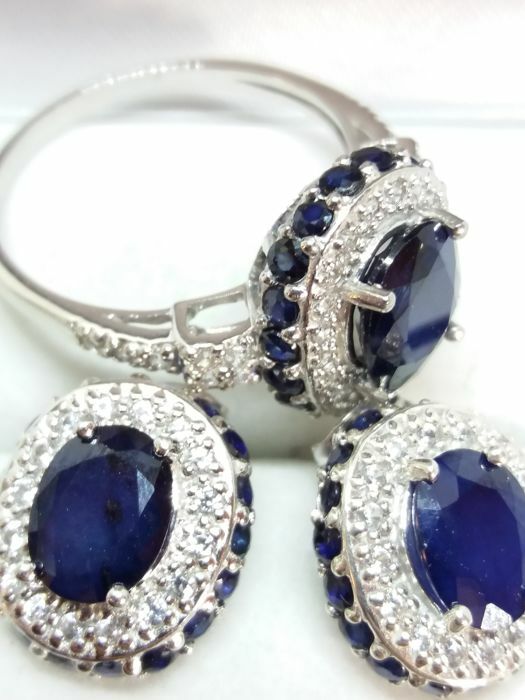 The white stones are white sapphire. 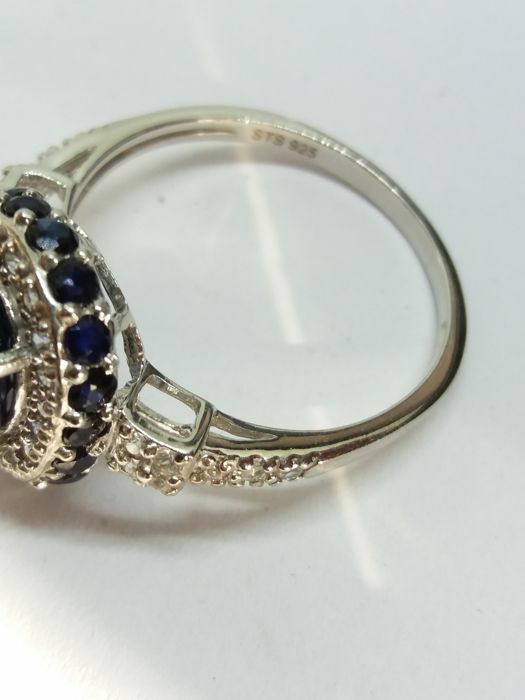 The ring size is S EU 60 1/4 but i am sure it can be resized by a good jeweller. 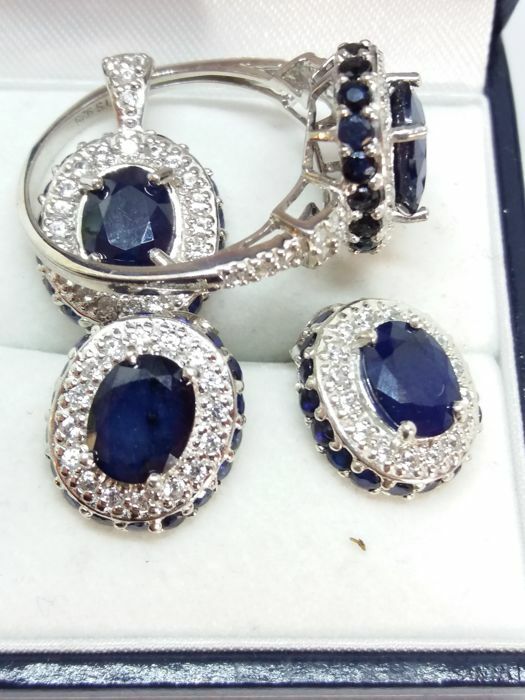 The set comprises of a dress ring, earrings and pendant. 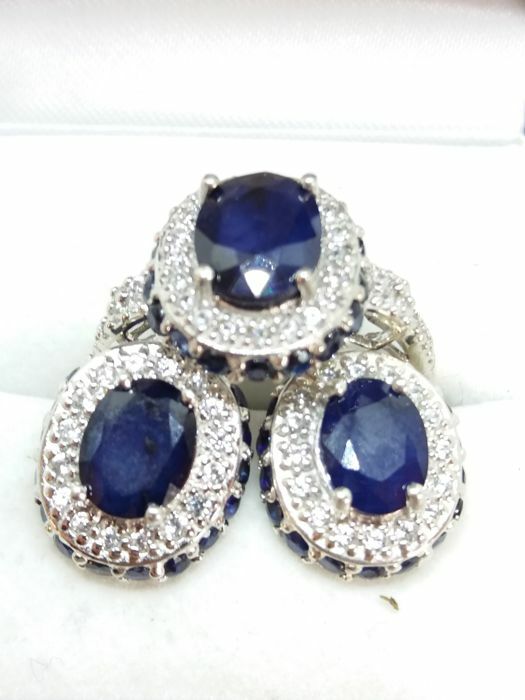 Because of the colour of these sapphires they most likely have been mined in Africa. 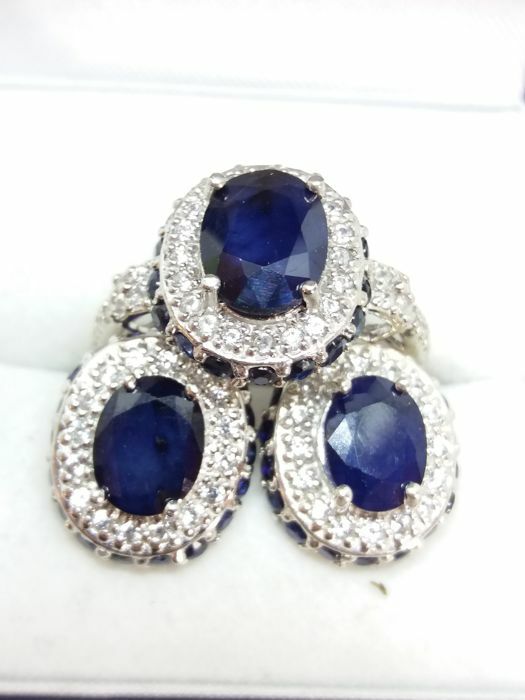 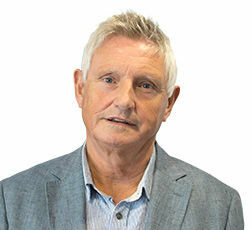 Please take a look at my current auctions.